Easter remains one of the stand out events in the retail calendar, but the challenge for c-stores is differentiating their offer from the deep discounting at the mults. So, what products have launched this year? And how can local retailers make the most of the period? Stocking the right products at the right times is key to winning this Easter and Mondeléz International recommends retailers get off to a fast start with self-eat treats available from January onwards. In the middle third of the season sharing products should be introduced and in the final third of the season, the range should be completed with a small shell egg and gifting range for top-up gift sales. Mars is also advising retailers make the most of the seasonal sales opportunities by keeping stocked up on Easter treats early and to start utilising off-shelf distribution points as treat sales peak in the first seven weeks of the season and then have a second burst of sales in the last week of Easter. “Gifting has become a major factor at Easter so it is important to cater for all ages and budgets with a range of Easter eggs; those retailers constrained by space are advised to stock large and luxury eggs which offer greater ROI, as well as novelty impulse products,” says Bep Dhaliwal, Trade Communications Manager, Mars Chocolate UK. With 86% of eggs sold in the last four weeks leading up to Easter, products should be kept in stock for the duration of the Easter sales window while promotions key to triggering purchase should be utilised. 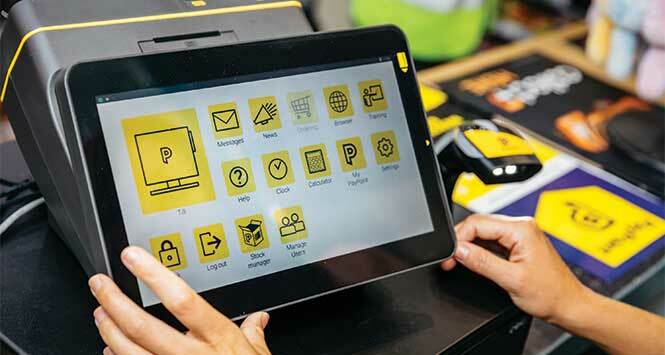 And to capitalise on the sales opportunity that comes with the buzz of a new product launch, POS should be used to deliver in-store theatre. “Easter is a busy time in store so these types of displays will have maximum effect,” says Dhaliwal. While it is important to maintain a standard confectionery display, she also advises siting Easter products at front of store and on prominent branded off-shelf displays that are more likely to encourage purchase. 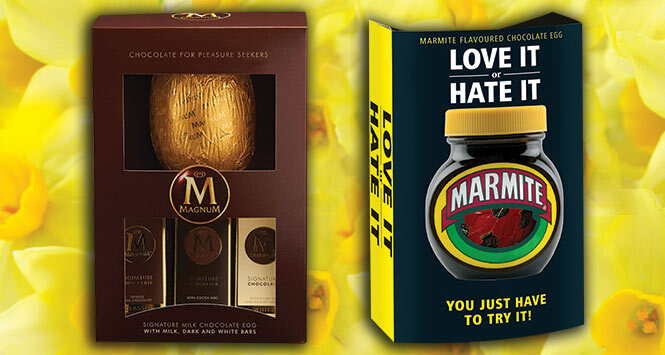 Unilever has partnered with Kinnerton Confectionery to introduce a Magnum Easter egg. The partnership with Kinnerton will see Unilever UK’s number one ice cream brand, Magnum, introduce a new, premium Magnum Egg with an assortment of Magnum Signature Bars. Magnum’s Egg and Bars rrp individually at £5. Along with novelty products, the continuing appeal of immediate consumption lines is an incremental sales opportunity for convenience stores, and a popular area of Easter confectionery worth £122m. It is in this sector that c-stores can actually give supermarkets a run for their money. In the immediate consumption sector, Cadbury Creme Egg remains the UK’s number one product at Easter. It had a strong season in 2015 with a high-profile TV and outdoor campaign seen by 78% of people and supported by a Facebook campaign seen by over 12 million people. 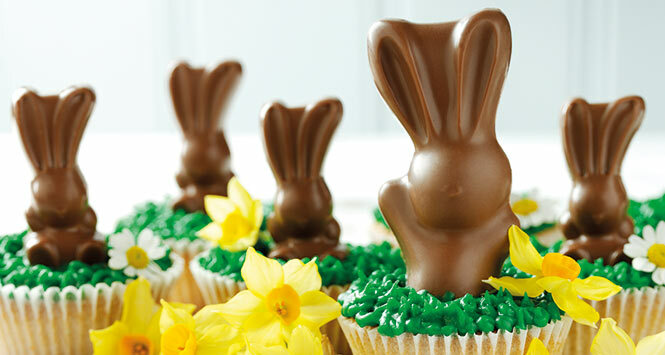 The brand generated £29m value sales at Easter last year, more than the rest of the self-eat segment combined. This year a £4m marketing investment will run until March and includes TV, digital, PR, in-store and outdoor activity. Mars Chocolate UK’s Malteaster Bunny is the number two in this sector, and returned this year with an rrp of 62p. Nestlé’s Smarties Little Choc Chick (rrp 65p) is the third best-selling impulse novelty in the market with the Milkybar Bunny (rrp 65p) at number four. Cadbury Dairy Milk Egg ‘n’ Spoon is another mainstay, having sold 14.5m packs in the UK since its launch in 2013. Last Easter, it was the number one Easter novelty and is back for 2016 in both chocolate and vanilla mousse variants. The Cadbury Caramel Egg has also returned for spring alongside new addition Cadbury Dairy Milk Bunny Vanilla Mousse. The Galaxy Bubbles Filled Egg is back on the market with an rrp of 44p. And Nestlé’s Aero Bubbly Egg (rrp 65p) has returned with an impactful new design following a successful first year – 86% of shoppers were new to the brand and it drew in a lucrative audience of older shoppers, good news for stores. Gifting is most prevalent in the final part of the season when shoppers are looking for Easter eggs and other gifting products that will help make the Easter weekend special for their friends and family. Mondeléz International is the market leader in spring, with 33.9% market share, and is also number one in ‘traditional Easter’ with a 45.4% share. This Easter, Mondeléz International will continue to invest in its ‘power brands’, launch new seasonal products and a new Easter packaging design for its Cadbury brand. Cadbury – which has eight of the top 10 shell eggs within the segment – will be getting a new look across its Easter range using a key seasonal icon, the purple egg. The new design will combine Cadbury purple with yellow, the number one colour at Easter, and will include an illustration of an egg cracking open and releasing the first warm rays of sunshine. In tests, the new design was significantly preferred to the 2015 range and was seen as delivering more modernity and joy with strong standout. Cadbury has refreshed its product ranges in line with consumer research to ensure that it has a tight range that offers the right shell egg for each member of the family, and will be supporting its 2016 Easter range with a £10m investment. 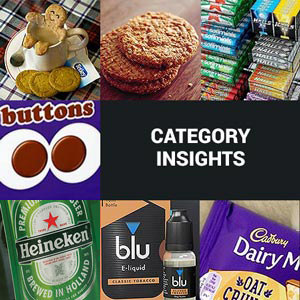 “For children’s token and main gifts, consumers look for products that can bring joy for kids on Easter morning and offer something extra – such as crafts or hunts – that can add to family rituals during the celebration of the day, while teenagers and adults are looking for a wide range of their favourite everyday brands,” says Nash. “There is a place for shell eggs in c-stores for top-up and distress purchases so retailers should concentrate on stocking customer favourites in the medium shell egg range to help maximise sales,” she adds. New for this year, Mars Chocolate UK has launched the Galaxy Golden Eggs Large Egg, an eye-catching variation on the UK’s number two chocolate brand with a rrp of £5.29. As an area for potential growth, Mars also has the small eggs category covered with its Malteaster Mini-bunnies Egg at a £1 price point, while in the medium egg category its biggest brands – M&M’s, Mars and Maltesers – have been consistent performers year after year and have returned in 2016 with a rrp of £3.05. If stores have limited space, Dhaliwal advises retailers to stock up on large and more premium options that offer a greater return. 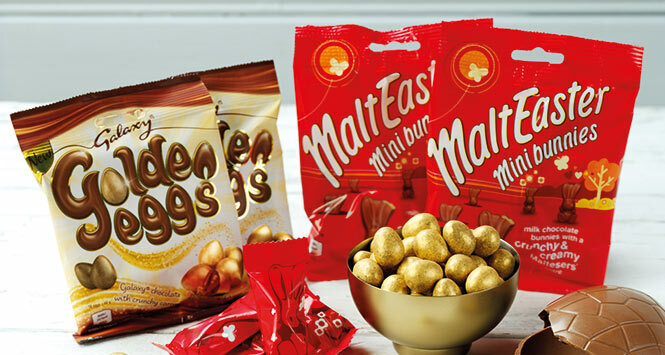 Mars has a number of options across their household names including the Galaxy Golden Eggs Large Egg and Maltesers Teasers Large Egg, Malteaster Bunny Extra Large Egg, and Celebrations Large Egg, which made up three of the top ten bestsellers in the category last year. These large and extra-large eggs are available from a rrp of £5.29. At Nestlé, 2015 saw it launch its range of inclusion eggs. Each egg has the same crispy and crunchy filling within its chocolate shell as the core product, providing consumers with well-known treats in an innovative new format. 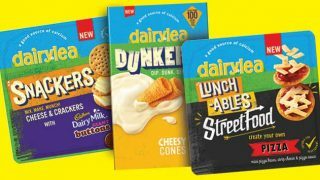 The inclusion eggs were launched in three varieties –Matchmakers Mint Egg, Matchmakers Orange Egg and Nestlé Crunch Egg (all rrp £3.00) and in their first year they attracted 720,000 households and generated £1.5m sales. 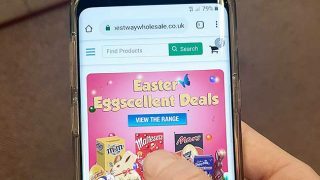 A substantial 40% of shoppers added the inclusion eggs to their repertoire, whilst 14% of shoppers were new to the entire Easter category; no mean feat given Easter already garners 70% penetration. Whilst adult eggs are up 5.5%, white chocolate adult eggs are up an impressive 65%. To capitalise on this trend, Nestlé has launched the new Milkybar Milk & Cookies Egg (rrp £3.00) for 2016. Building on the success of the Milkybar Milk & Cookies chocolate sharing block which launched in January 2015, the egg contains real cookie pieces embedded in Milkybar white chocolate. As for large eggs – the four ‘insider’ eggs from Quality Street, After Eight, Rowntree’s Randoms and Munchies are all rrp £5.41. And in the giant eggs category, the Nestlé range accounts for 35% of sales, with the total segment growing 19% since 2011. New for 2016 is the Nestlé Crunch Collection. 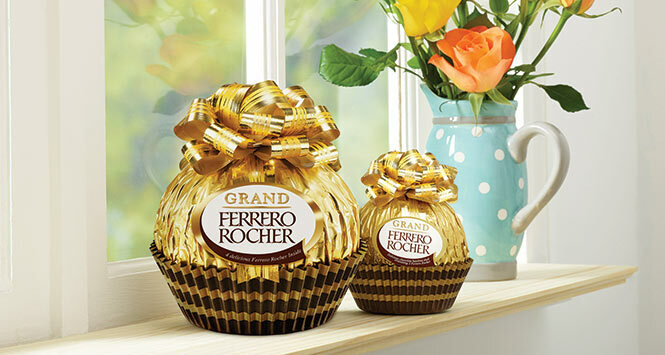 This giant egg comes complete with a large milk chocolate egg and a selection of milk and white chocolate Crunch bars. It joins the Kitkat Chunky giant egg – the priority pack for retailers with limited shelf space – as well as the Nestlé Caramel Collection giant egg, Aero Selection giant egg and Yorkie giant egg, which attracts the hard-to-reach younger male demographic. All have an rrp of £7.49. Added value eggs have proven a success with shoppers, outperforming the market by 20% in 2015. Capitalising on their continued popularity, the mug eggs from Kitkat Chunky, Yorkie and Toffee Crisp are back for 2016 and make for a collectable gift – all three eggs have an rrp of £5.99. As for non-egg gifting, novelties this year include the Cadbury Dairy Milk Bunny range, a new range of top-up gifts likely to help drive incremental sales towards the end of the season. The range features three giftworthy packs – a Hollow Bunny in both small and large sizes and Cadbury Dairy Milk Mini Hollow Bunnies. Mondeléz International is also introducing Cadbury Dairy Milk Mini Hollow Freddos which includes five individually wrapped Freddo characters in each pack, while Cadbury Dairy Milk with Buttons Chick and Cadbury Dairy Milk Egg Heads have returned for 2016. Sharing products are big business at Easter with many products in the category doubling up as treats for children’s Easter egg hunts. As well as its Galaxy Golden Eggs Large Egg, Mars Chocolate UK has added an 80g sharing bag to the range featuring a combination of Galaxy chocolate and crunchy caramel pieces rolled in gold foil, with an rrp of £1.30. Another launch for this year is the new Malteaster Family Pack which includes four Malteaster bunnies, six mini bunnies and two bags of Maltesers fun size. Ideal for sharing occasions, it has a rrp of £3.99. As for mini eggs, sales grew 2.2% in 2015 and are now worth £57m. Smarties Mini Eggs and Milkybar Mini Eggs both grew ahead of the market up 17% and 13% respectively, benefiting from a motivating £1 rrp price point. Both packs will return to the range this Easter. At Mondeléz, Cadbury Mini Eggs was the second biggest Easter confectionery brand in 2015, and its Handy Bag was the best-selling Easter product for the third time in a row with £21.8m RSV. The Handy Bag will return for 2016 along with the tubes and Gift Egg pack. A new product to the market for 2016, aimed at adults, is the Black Magic Mini Eggs (rrp £2.00).